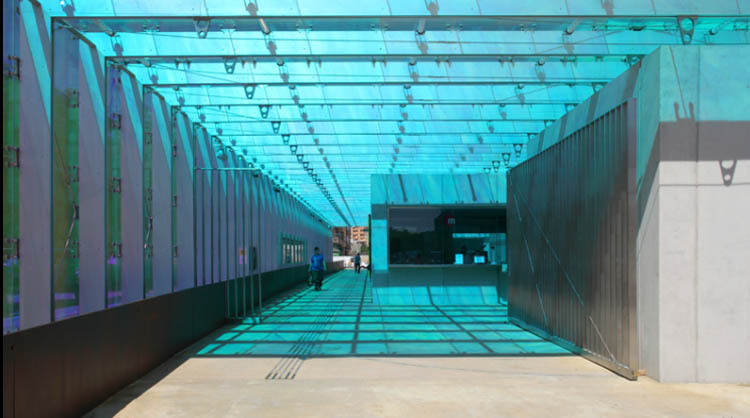 I love this new metro/subway station Estación de Metro Carolines-Benimàmet in Valencia, Spain, designed by architect Luis Ferrer. 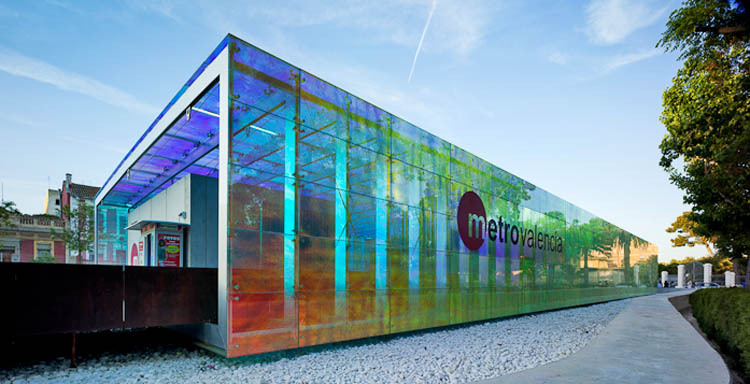 The multi-colored glass boxes-within-a-box design not only gives the station a light appearance, as if floating over a bed of stones, but each box serves a purpose as well: two function as emergency stairs, one as office space, and the largest contains the ticket booths, elevator banks, and escalators. 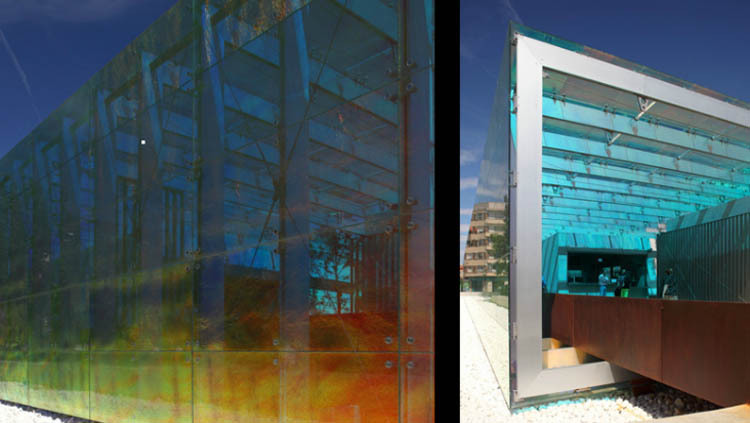 The colors and prints on the glass, apart from looking great, refer to the basic elements of earth, water, fire, and air, adding increasing warmth as one descends to the lower levels (perhaps a nod to the underworld?) The light fixtures and furniture were all designed in the architect’s studio with the idea of mass-production in mind for future stations. It’s all fun, smart and beautiful as all design should be. Photos by David Frutos and also courtesy of the architect.